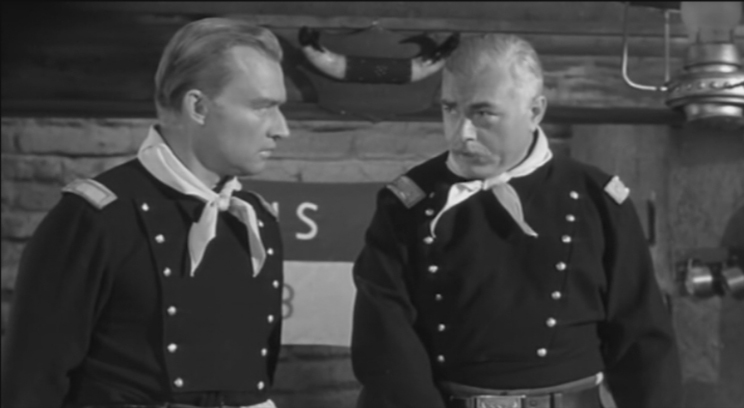 Sergeant James Marlowe (Douglas Kennedy) is in charge of an Army detail escorting a shipment of rifles to a Western Army post threatened by Apaches. To avoid attack, he and his men travel undercover in civilian attire hoping to sneak by the angry natives. 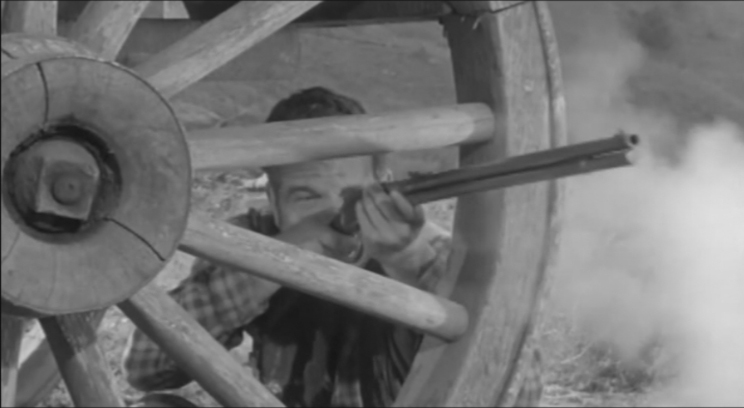 At a small outpost, the party is exposed when a slovenly pimp (selling "brides" instead of prostitutes to conform to the production codes of the time) discovers the guns and sells the party out to a local squaw named Cora (Jeff Donnell). 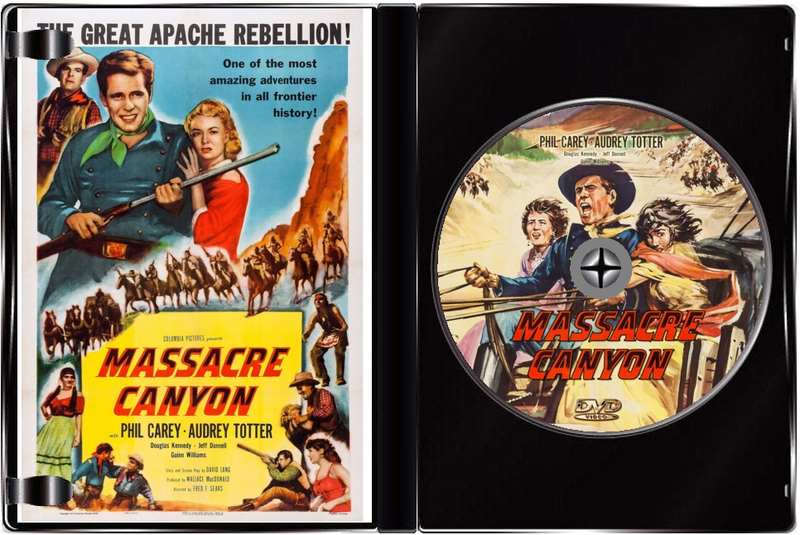 Joined by mail-order bride Flaxy (Audrey Totter) and exiled officer Lt. Richard Faraday (Philip Carey), they are weakened by the sabotage of their water, and then comes an ambush by a raging horde of Apache warriors! 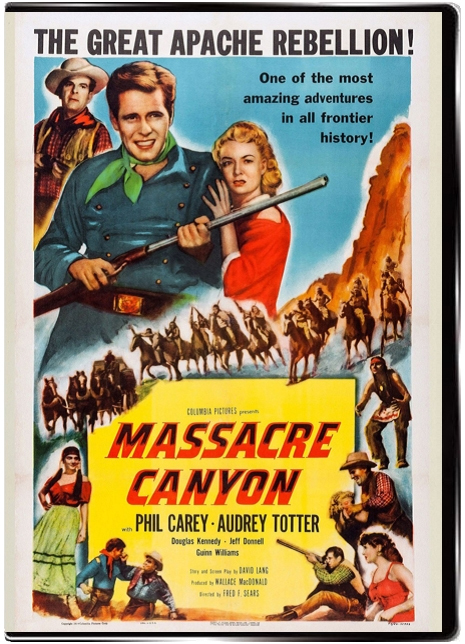 Though the setup of a beleaguered army caravan carrying rifles through Indian territory is a familiar one to any western fan, this is a very interesting film with some good ideas in the screenplay - including the quarreling two male leads (Carey & Kennedy), a "wounded" Indian infiltrator, and a treacherous human trafficker. 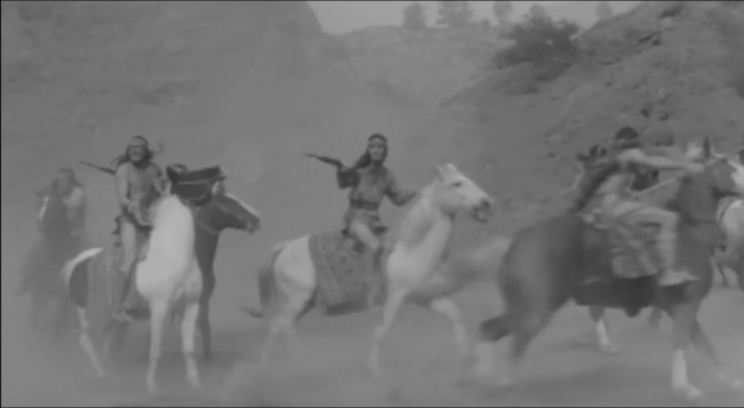 The highlight of the film happens in famed Bronson Canyon, familiar to all sci-fi fans, which doesn't provide much room to maneuver and aids the trapped and desperate tone of the scene. Note also how the "Parson" provides wives, and not hookers, even though the latter makes more sense for the footloose men. That distinction, however, makes the service acceptable to the Production Code of the time. Noted noir actress Audrey Totter is here but is sadly mostly wasted, apparently tacked-on for marquee value. 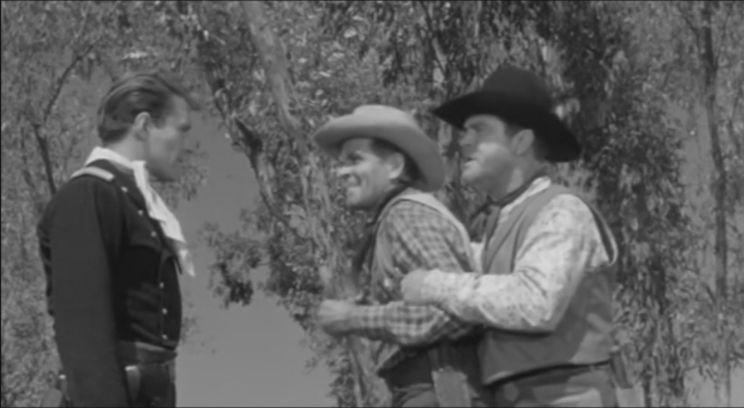 Anyway, the screenplay is not without imaginative ideas, and along with a commanding performance from the always reliable Douglas Kennedy, it all makes this worth the price of admission for fans of the genre.